Gapen (1993) states that the concept of remote access to the contents and services of libraries and other information resources provides the user technology that brings access to the resources of multiple libraries and information services. With the evolution of a variety of methods involved in distance education, the role of academic libraries has broadened to provide resources and services to these invisible but very tangible students. This chapter begins with a brief review of the history of distance education and the impact of this technology on higher education. The chapter also explores the role of libraries and librarians in providing the variety of services, resources, and technology necessary to support this steadily growing facet of academic institutions. 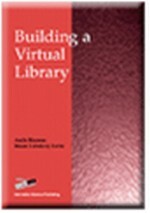 Finally, the chapter will present a case illustration of how one university has incorporated its virtual library as a critical element in its distance learning educational initiatives.